(Providence, RI) – BOND, the Northeast’s premier building, civil, utility and energy construction firm, announces that Providence College has selected BOND to provide construction management services for the expansion of its Science Complex. This is a milestone win for the Providence, Rhode Island office, as they celebrate their one-year anniversary. It is also a testament to the strong leadership and experience of its Rhode Island-based team, whose efforts continue to expand BOND’s service offerings throughout the Northeast footprint. 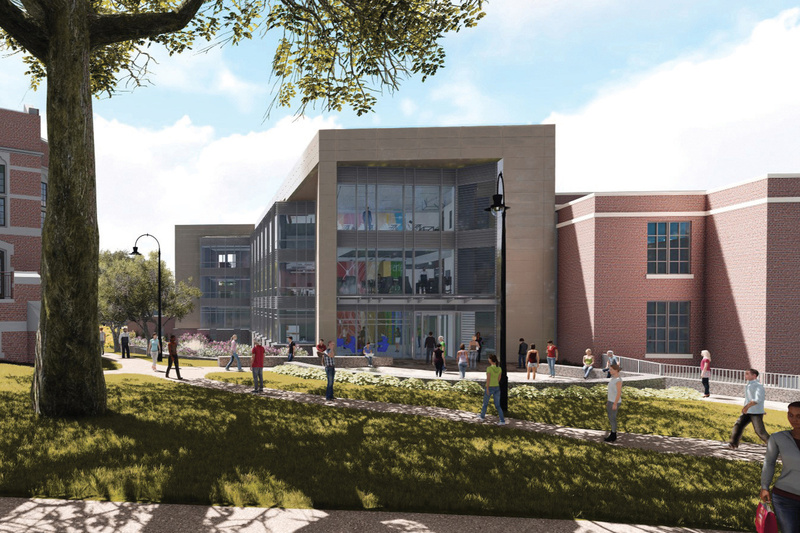 The new Providence College multi-phased, science complex project includes: two building additions, plus renovations to science classrooms in Albertus, SOWA and Hickory Halls. The revitalized complex will feature new classrooms, a lecture hall, academic offices, laboratories, mechanical upgrades, rooftop observatory and telescope storage area. With site mobilization spring 2017, the project is slated for completion June 2018. Design and project partners include: S/L/A/M Collaborative, Farrar & Associates, Sterling Engineering, Caputo and Wick, Wilkinson Associates and The Skyline Group.